Taking it easy has given us permission to play more together, to be silly, and to spend more time pursuing her interests. 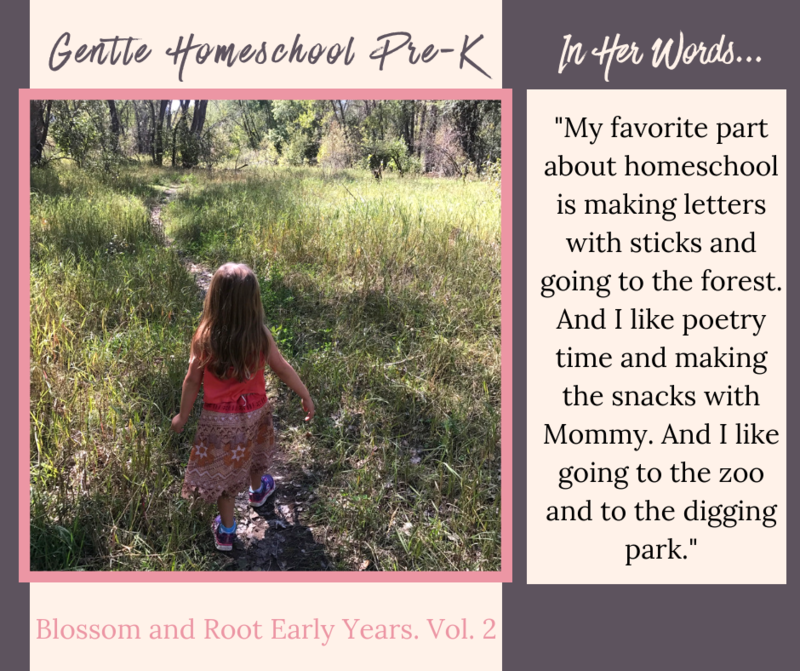 I’m so glad I listened to my gut and went with another year of pre-k instead of pushing kindergarten this year simply because she already knows her letters and numbers. 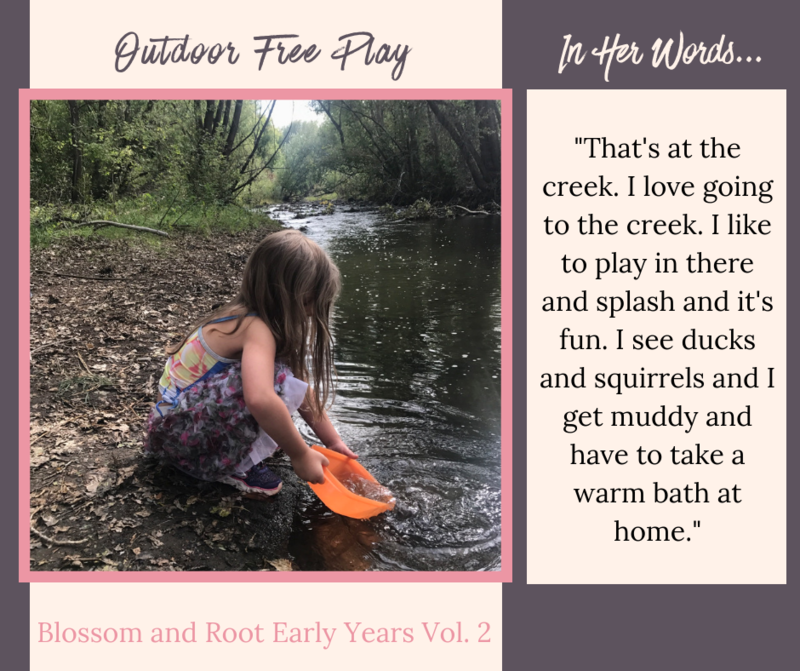 I loved putting together this point-of-view post with her! I let Brice choose the pictures from my phone that she wanted to share, and wrote down her captions for each one. I hope you enjoy this “peek” into her day-to-day experience! I usually set up a math invitation every morning for Brice to explore as I work with her older sister. 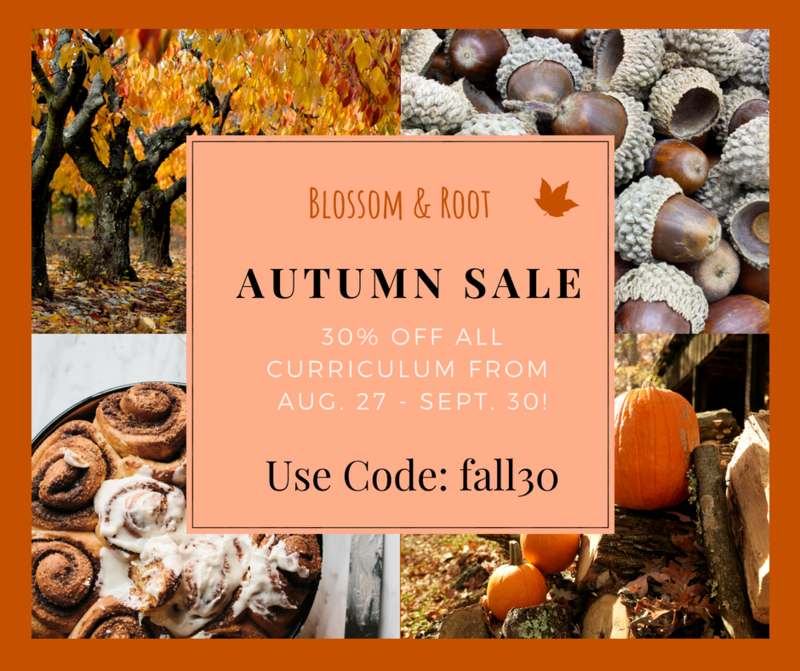 These usually come from Blossom and Root Early Years Vol. 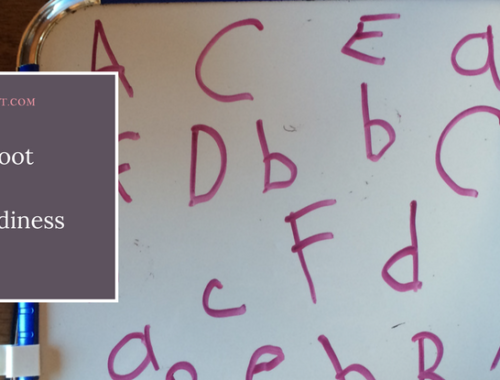 2, but I also borrow ideas from Wild Math First Grade, which I’m using with my oldest. Brice enjoys math and will often complete the activity and launch into free play using the manipulatives I’d set out. Sometimes, I’ll set up a STEM invitation instead of math. 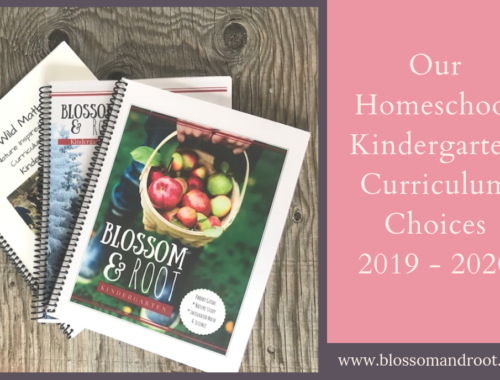 These come from Blossom and Root Early Years Vol. 2 or from our Book Seeds series. 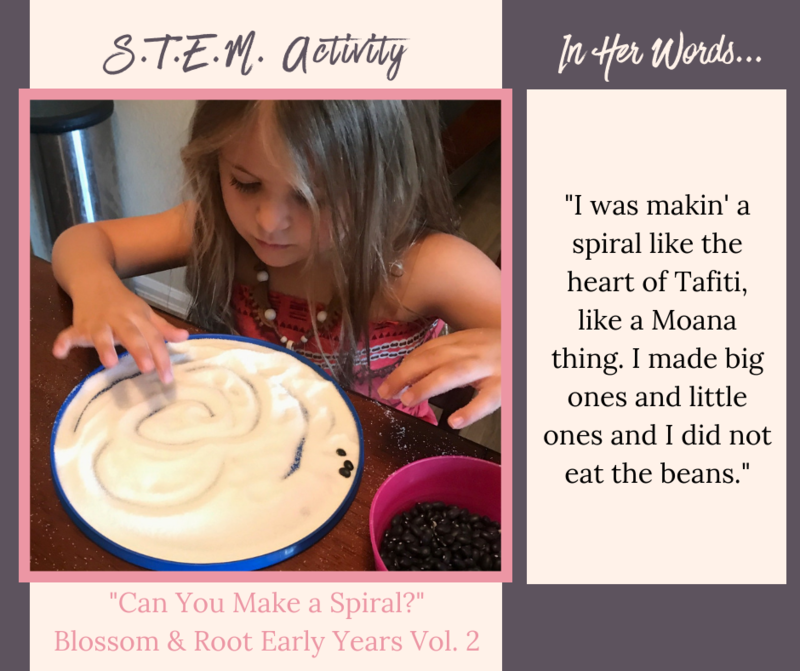 STEM invitations always keep her occupied for a long time–especially if they involve water, play-dough, or sand. 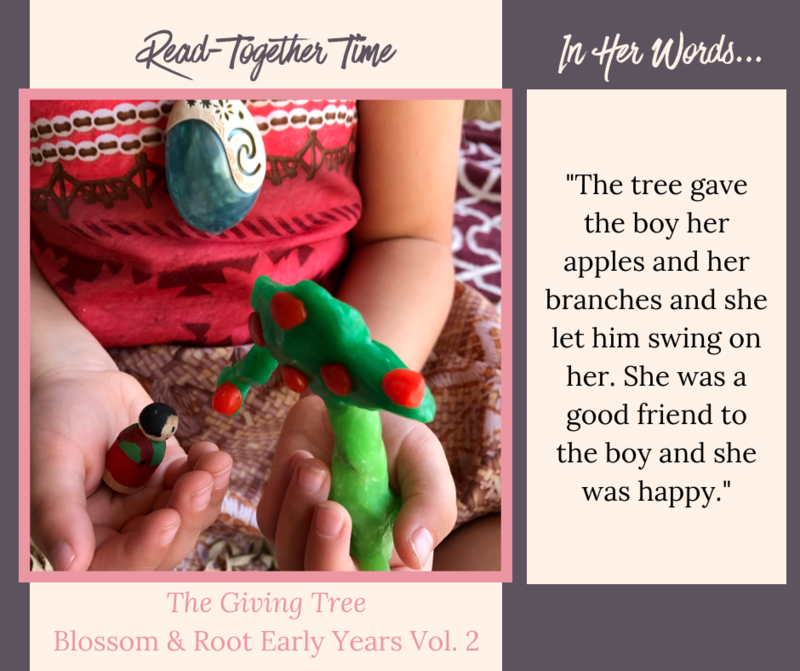 The highlight of my week with Brice is usually our “Read-Together Time” from Blossom and Root Early Years Vol. 2. We read the featured book several times throughout the week before brainstorming together to choose an activity, sometimes several, to celebrate the story. For Peter Rabbit, we made carrot cake muffins. For Owl Moon, we learned about Great Horned Owls and painted an owl picture. For The Giving Tree, we made figurines from beeswax and peg dolls, and created a felt leaf crown for Brice to wear. 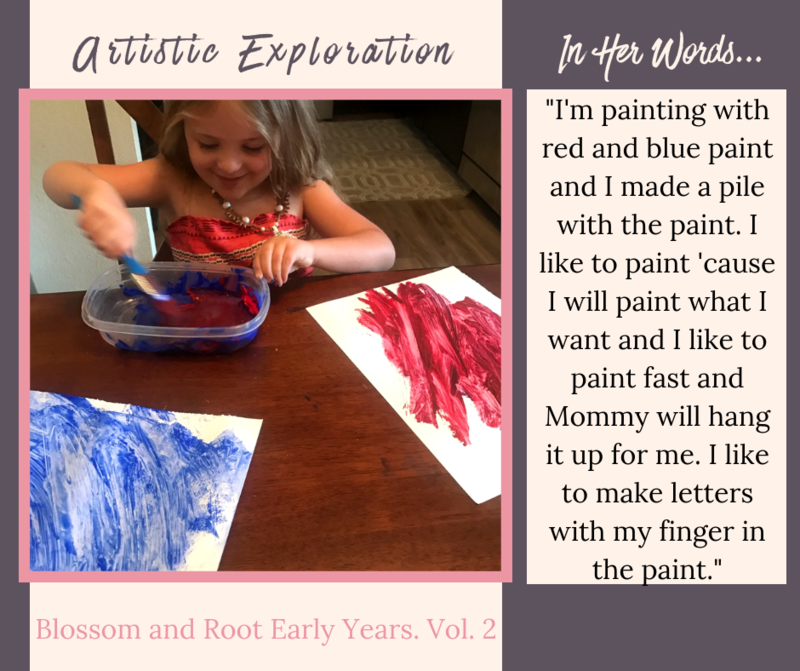 She usually has her own ideas about what she wants to do, but I can always find great ideas on Pinterest, too. 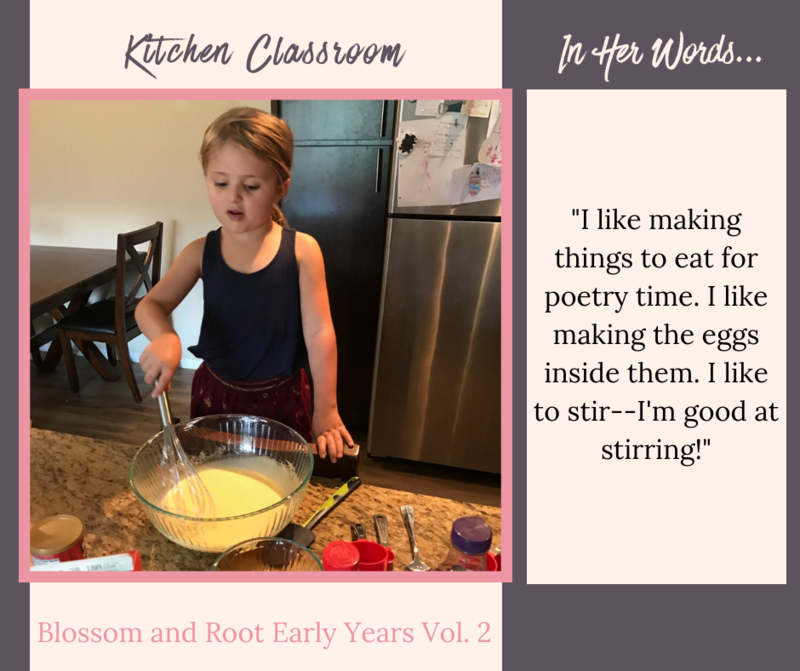 I always carve out time for “kitchen classroom.” This is an important aspect of Blossom and Root Early Years Vol. 2, as it covers almost every academic subject in one way or another while encouraging connectivity and making wonderful memories together. Brice really enjoys cooking and baking and is becoming more confident with measuring and cracking eggs. She makes note of all the numbers involved, and loves to sit in front of the oven and watch through the window as things bake. We are a Brave Writer family, and spend a lot of time embracing various aspects of the Brave Writer lifestyle. 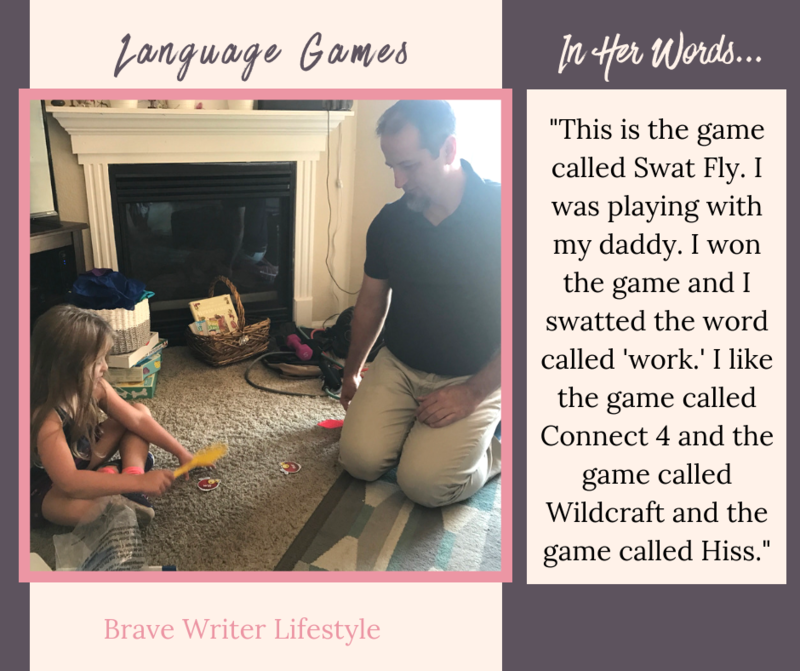 One aspect that Brice is especially fond of is the use of language games. 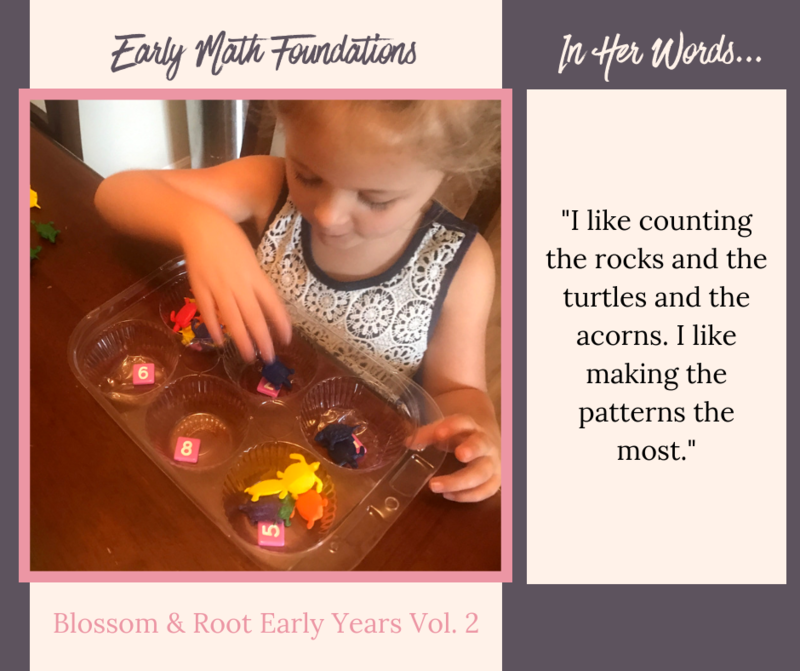 She really loves learning foreign languages (French is our focus), rhyming words, making up silly songs, and playing games like Sight Word Swap and Bananagrams, Jr. She also loves to play math games, do puzzles, and create pictures out of tangram blocks. We almost always take a break mid-morning to go outside to play. 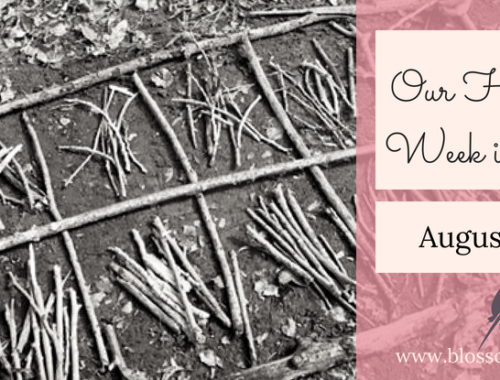 Often, we will do all of our homeschooling time outdoors, spread across a picnic blanket. I’ve never met anyone who loves water more than Brice, and have learned to keep a change of clothes on hand. 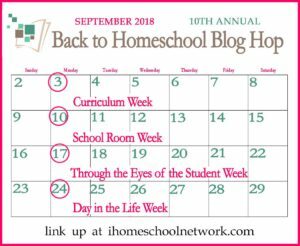 One day a week, my oldest goes to a homeschool enrichment program. 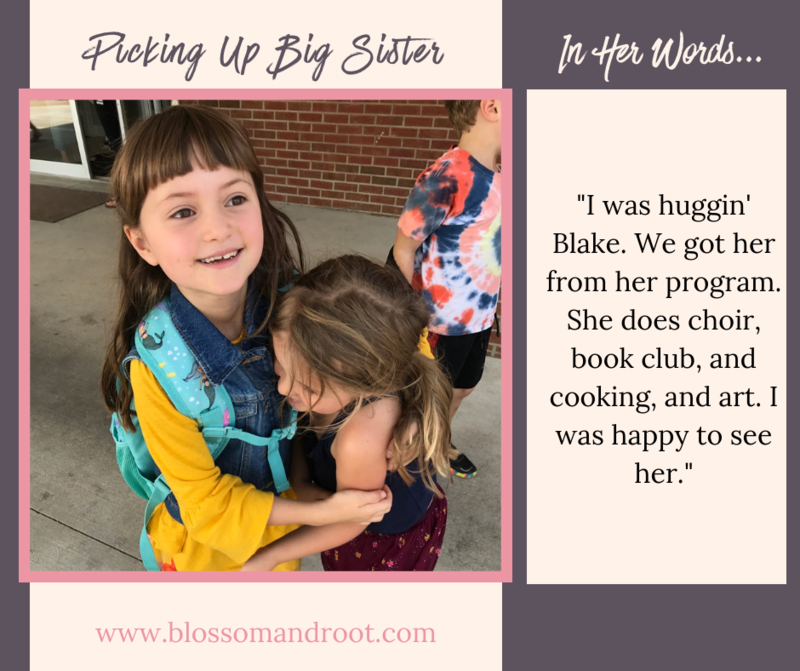 While Brice and I enjoy our peaceful day together (just the two of us), she’s always so excited to pick her sister up at the end of the day. 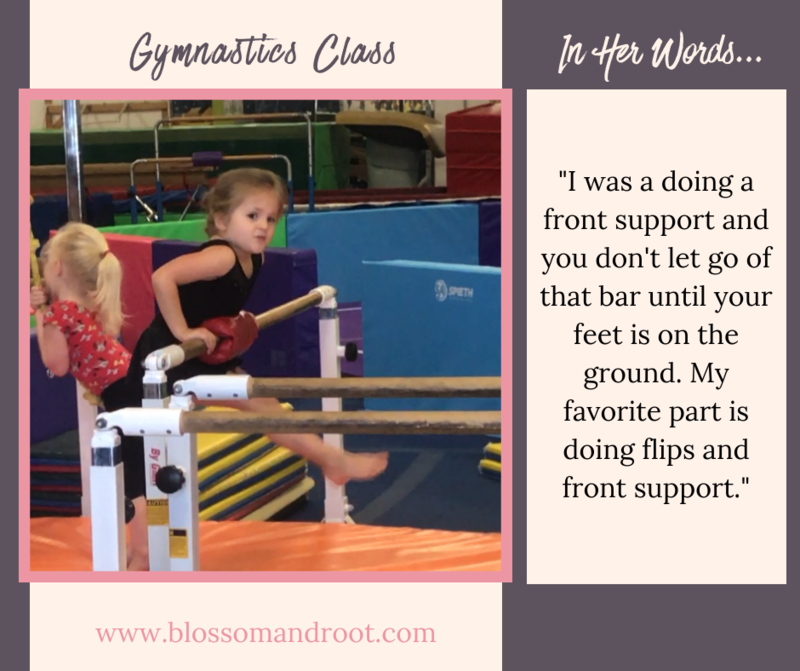 Brice goes to gymnastics twice a week, and she is making tremendous progress! I would say her classes are a highlight of the week for her. When she started, she wouldn’t even let her teacher lift her near the bar, let alone flip around it. Now she’s doing it alone, and seeking new opportunities to challenge herself. I love watching her grow! 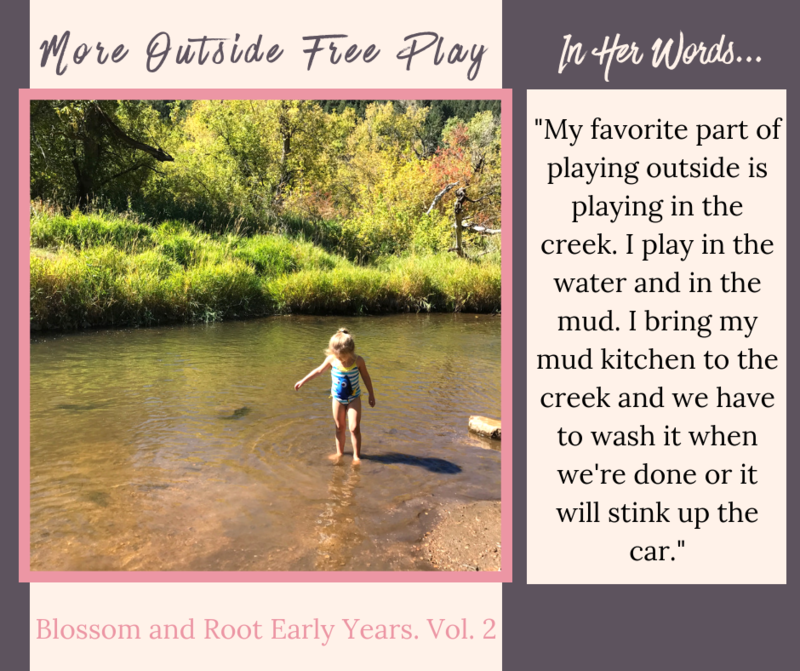 We usually end our day with more outside free play. I have found over the years that there is some magic in afternoon sunlight. It helps us all sleep better, we don’t get sick as often, and it soothes and calms us after a busy day. How is your year going so far? Please feel free to share in the comments! 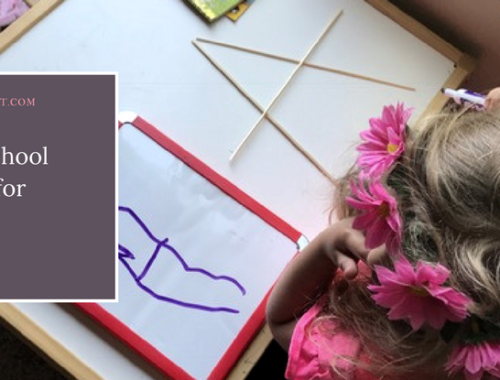 Learn more about our Early Years curriculum by clicking here!